I wanted to call this list Five Crafty Scams, but figured I could get into a bit of trouble. Crafting is an expensive hobby. I expect to have a bit of money to spare because I don’t waste money on drinking or smoking, but if I sat down and thought about it, smoking might cost less. But we crafters like to buy the latest things and the right tools for the job, and all of that cost money. I was talking to a friend recently who teaches batik. Batik uses melted wax and coloured dyes to create wonderful fabrics and the pot my friend was using was similar to the pot I used at beauty college (for warming wax when removing hair). My friend mentioned that she was using a borrowed wax pot because they cost between £60-£80 and she was saving up for one. On closer look noticed that not only was the wax pot similar to my beauty one, it was the same. Same pot, new box aimed at Batik. My wax pot was bought new in a sale at Sally’s (hair & beauty supplier) for £20. When not in the sale it costs around £40-£60. I’ve seen this scam idea before. 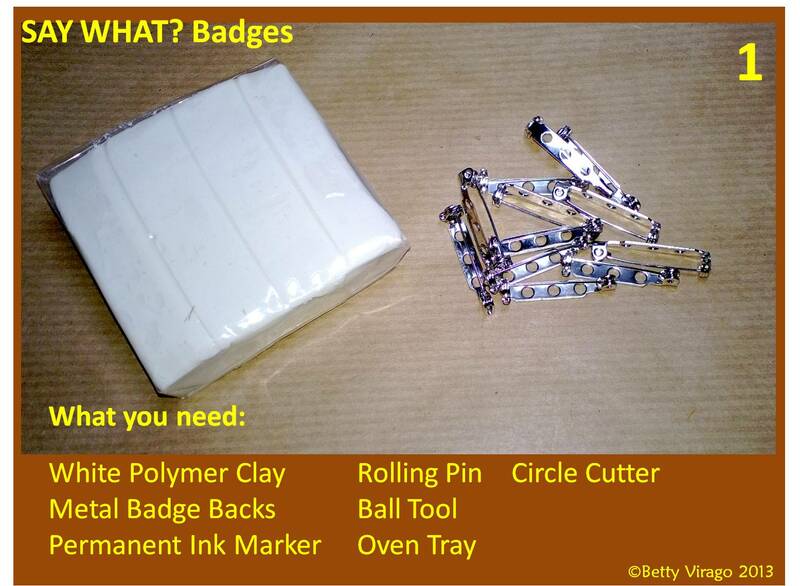 When I was learning silver clay and using the Imagepac stamp maker on the course I was told the starter kit would set me back £100 but included a UV lamp worth £60. the UV lamp is the same UV lamp used by nail technicians, I have one exactly the same as the Imagepac one (except mine is white) that cost me £40. I didn’t buy the £100 kit, instead I used my nail UV lamp and bought the rest of the starter kit for around £20. Products used by one industry, repackaged and sold at a higher price to another industry. At £5-£8 an issue, magazines are expensive. What’s worse is when they wrap them in cellophane so you are unable to look through and see if it’s worth the cost. I accept that they want the free gift to stay on the mag, but at least put something on the back showing what’s inside. I’m not a regular of any magazine and will only buy if there are several patterns or ideas in them that I want. It’s like buying craft books on Amazon, you want to preview all the patterns, not the introduction. But since this blog is on financial peeves here’s where I get cross. You buy a magazine (sewing ones are the worst culprits) go to find the pattern and realise you have to get your computer, download a pattern and print it out. At £5 a go I expect the pattern to be included in the magazine, not at an additional cost to me. On the other hand the current issue has this rather nice camper van cushion. If you’re savvy, why buy the mag when you can download the pattern and make it for free? I like the Spectrum Noir markers and now they’ve brought out pencils, which I love because they’re easier to carry around than the markers. The additional bits needed include things like a plastic pencil sharpener for £3 and blending sticks for £5. These are hobbycraft prices, but the prices are about average. In Hobbycraft, a few aisles away are blending sticks for artists, value range, £1. Yes, I know there are 7 in the name brand pack, but still that’s a saving. Basically the blending stick is rolled blotting paper, that’s it. Sure, spend money on the bits that are worth money, like the pencils, but blotting paper is blotting paper whether it’s £1 or £5. I’m normally a bit more savvy than this, but even I have been caught up in the crafty craft selling game. I wanted to make a waldorf doll. It’s something I still can’t manage. I bought a pattern online and read the instructions, wrote a list of what I needed then went online to buy my bits. The instructions said when stuffing arms and legs a chop stick is ok, but what I really needed was the proper tool, the “Joy’s Stuffing Tool” at £7.99. It looks handmade, comes with instructions that look almost certificate like. Must be worth the money. What arrived was… Yep… You guessed it… A chopstick with a handle. I paid £7.99 for a chopstick. It even had the red Chinese writing down the side. nip to the local Chinese and grab a free pair. If you really want a handle, go to the local hardware shop and buy one for £1. The winner of the Crafty Craft sales techniques are…. 1. Selling things you throw away. Total saving – Endless, since you throw these things away regularly. I should be careful here, since I run a little knitting/crochet group at my local Hobbycraft, but seriously. I hope the picture says it all. I’ve just put an egg carton in my bin, if you want it let me know. Save your dough and recycle. I don’t know what makes me more cross. the fact that they’re selling empty egg boxes and loo rolls or that they want £2-3 for them. I long ago figured Hobbycraft had lost it’s way. They seem more of a toy shop than a craft shop. My local store, next to Staples (stationary) and a few shops down for our cities largest toy shop, sells rows of lego and stationary and has endless sales selling off what it couldn’t sell. Yet I don’t think they quite get it. I think, whoever buys stock for the stores should ask themselves two simple questions when buying new items. 1. Is it a craft? 2. Is it a Hobby? If both answers are no, then stay away from it. Either it’s some crazy marketing ploy or they are just crazy. Let me know if you’ve found any more Crafty Craft Scams. I finally got my stuff together enough to start the blog… Hurrah!!! So here’s the first of hopefully many free makes. Next you cut them into shape, I used a rose cutter that had a pointed bit because I didn’t have a circle shape the right size. 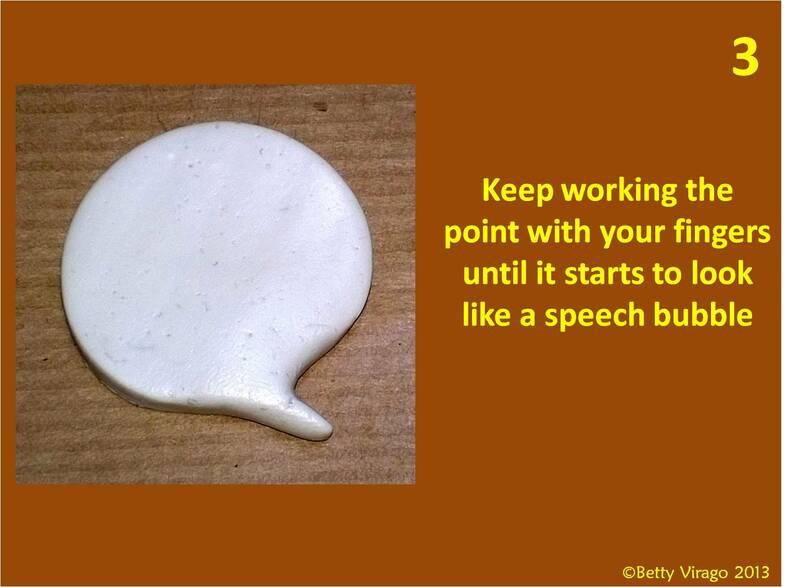 Work the clay into speech bubble, if you’re really good you might be able to make thought bubbles as well. 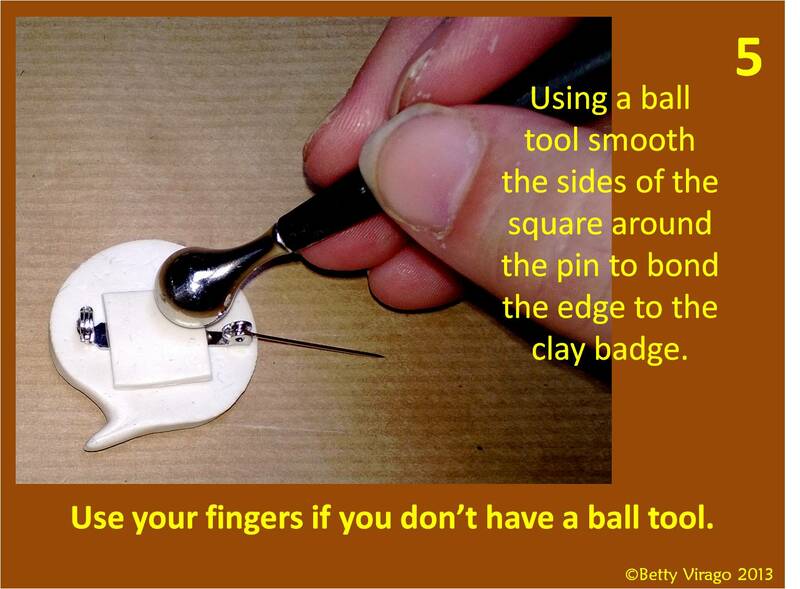 You need a thin piece of clay to stick the pin onto the clay. 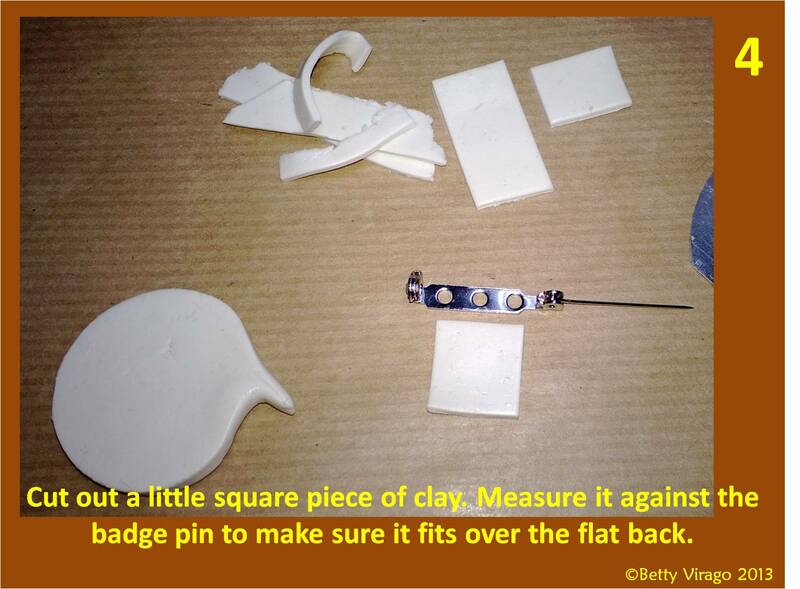 Secure the clay square so it joins the two bits of clay together. 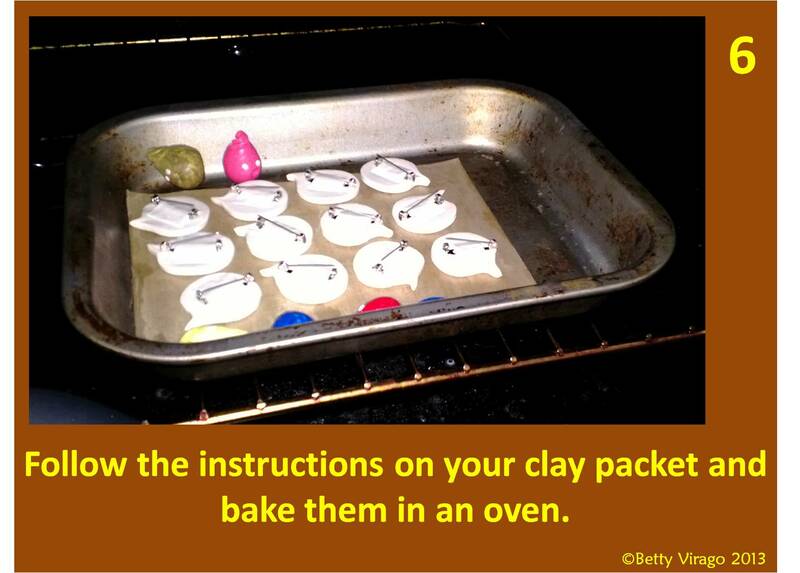 In the oven they will set to each other so you don’t need to use glue. 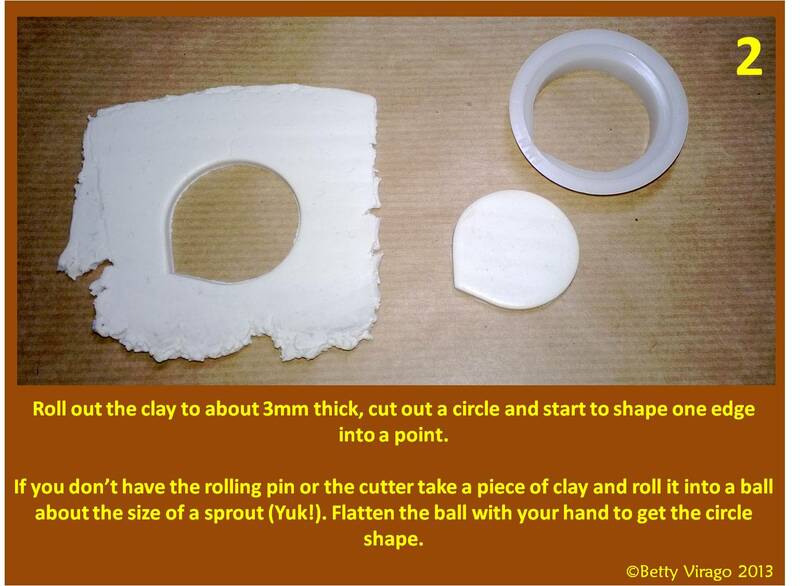 The clay I used was from Hobbycraft. It’s the cheapest clay (their own brand) and only £1 for a block but I got 13 out of that one block. It’s a bit sticky when worked for a long time, but for this project it works well. And here’s the final product. 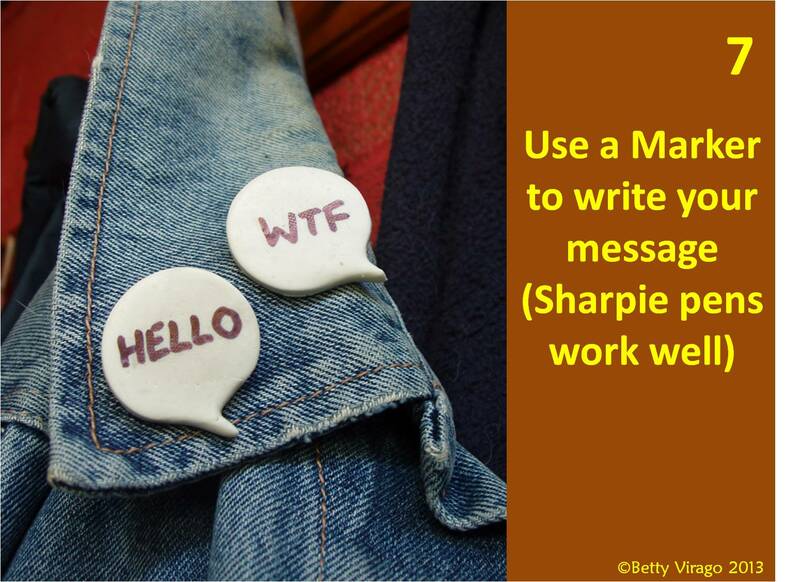 Put anything you want on the badge or sell them blank so people can write their own message. Hope you enjoyed that little crafty bit. cking back to see what other makey makes I have.